I had the privilege of meeting you in Granbury recently at the Houston St. Mercantile Quilt Store. My friend was the photographer taking pictures. I told you that I would send pictures of one of the quilts that I made from the Turning Twenty Again book. So far, that is still one of my very favorite books to quilt from. 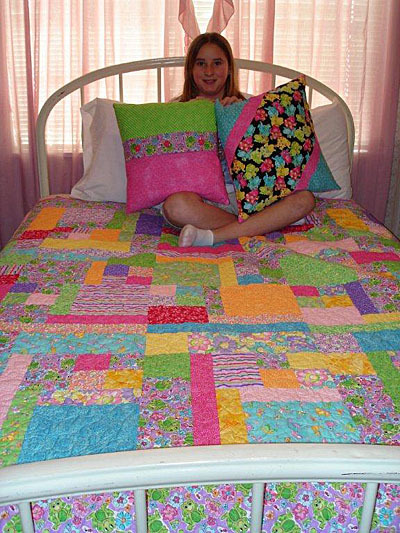 It is so easy and the quilts turn out so pretty. 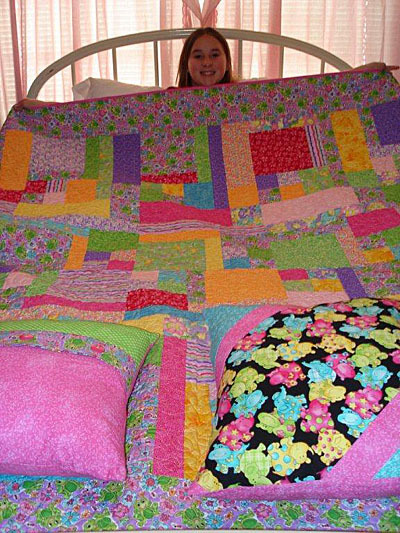 This particular quilt is shown with the little 11-12 year old granddaughter it was made for. 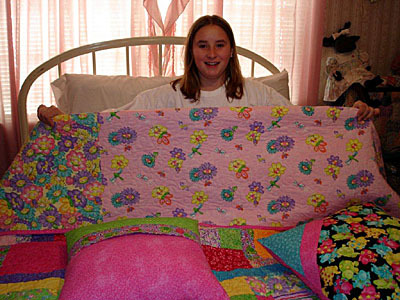 She is a fifteen year old young lady now and still loves her quilt. She made the pillow on your right to show in a class competition at school after the Christmas holidays and consequently won first place. She loves to sew too and I am very hopeful she will want to quilt in the near future. I trust all is well with you and yours. We are looking forward to your new book.